While gold stamping is limited by the available blocks, in other words we can only print motives and letter types whose blocks are available, it is possible to print any letter type motif, frame or sketch on genuine leather. Unlimited! By burning the surface of authentic leather it changes its structure slightly, its surface becomes more rough and changes color. 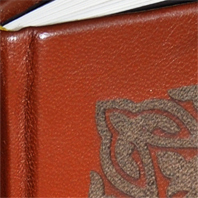 This creates a subtle and harmonious difference from the rest of the binding surface. The change is also palpable; you can feel a small grove with your fingers at the burned surface. Traditionally, pages of the book were laced together by chords. 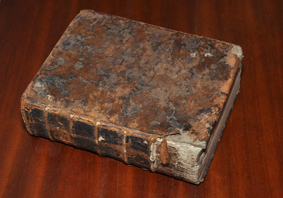 Bands of these chords caused the rib-like protrusions on the backing of the spine when covered with leather binding. This is where raised bands or ribs originated. 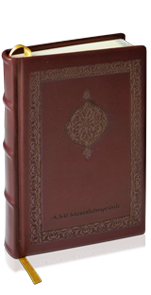 Nowadays these ribs are only decorative elements and lend a special antiquated look to the book. 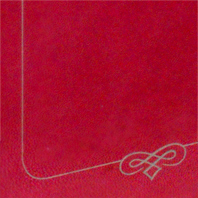 Suede is not the most elegant binding category, only the highest quality used in commercial book production. Genuine napa leather is the most noble of bindings. It is a special tactile experience to touch a leather cover whose surface is softer, silkier and more natural than canvas or suede. 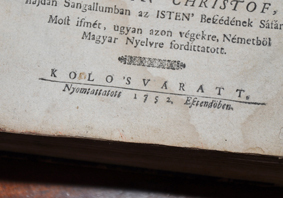 On the below pictures we show a book manufactured in 1752. 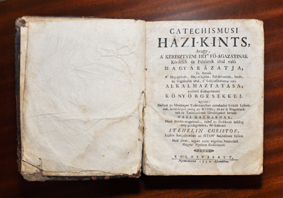 The binding of this 295 year-old book may be worn but it still protects the body of the book and will continue to protect and hold it together for a long time. 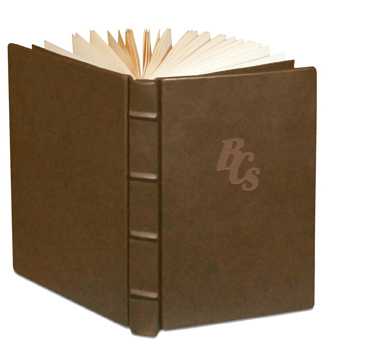 This book was naturally not a product of our company, but our leather, hand-bound books are similarly durable. Try our color selection by clicking on the samples!